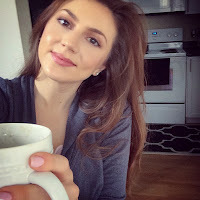 Just Jessie B: 10 Ways I Use Coconut Oil Every Day! 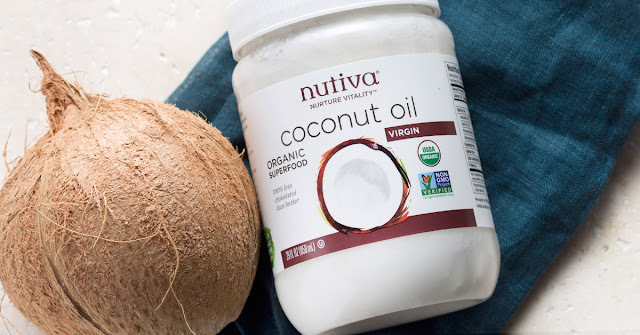 10 Ways I Use Coconut Oil Every Day! Since buying my first jar of coconut oil more than 5 years ago, I have found many, many ways to put it to good use. I picked up my first jar at Trader Joe's after seeing an old YouTube video about its benefits as a hair treatment. It sounded like a trendy thing to do if you were trying to be super-healthy, so I hopped on that bandwagon. One overnight hair treatment & a headful of soft and shiny hair later... & I was hooked. I have since found so many other ways to incorporate coconut oil into my life, and am never without a jar... or two! It has changed my hair, my skin, AND my cooking. As a butter replacement in baked goods. As a coffee mix-in for "bulletproof coffee". As an all-over body lotion. As a cooking fat for pan-frying & stir-frys. As a cuticle treatment for longer, healthier nails. I can't imagine anyone out there who couldn't find a use for coconut oil in their life. So, pick some up at your local grocery store or Whole Foods Market, or add a jar to your online cart! Currently, Thrive Market is giving away a free 15 oz jar of Nutiva Coconut Oil to anyone who signs up for a Thrive Market membership. It's organic, unrefined, and non-GMO. The perfect way to give coconut oil a try for free, while joining in on the savings & convenience that Thrive Market offers its members. The giveaway promotion ends Thursday, March 24 at 11:59 PST~ so head over soon! Click Here or on any of the Nutiva images in this post! There are different ways by which we can use coconut oil daily. I will find more usews of coconut oil after completing my bestessays com prices tasks. I also use coconut oil daily and I will qalso to the others to use it daily.